The graceful curve of our Bay windows offer a lovely way to open up any room and capture a view. Our beautiful Bay windows are custom designed and custom sized, so there’s always a Bay window perfect for any project, whether it’s new construction, remodelling or replacement. Like all of our products, our Bay Windows are specifically designed with high security in mind. We know how important it is to feel safe and secure in your home and security is of highest priority when designing our Bay Windows. 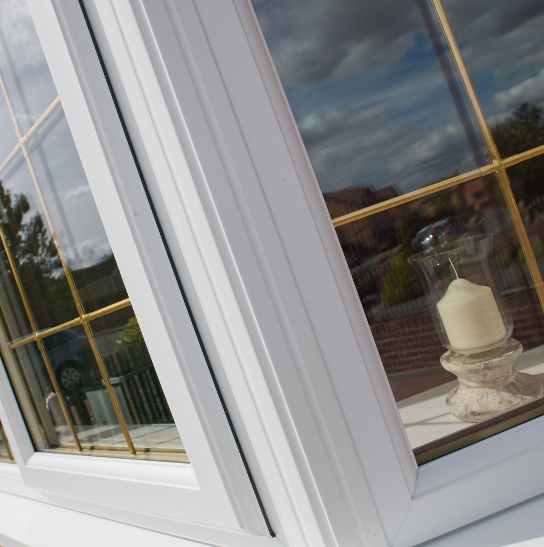 Our Bay Windows go through rigorous testing before they make it to your homes and a combination of the latest multi-point locking systems; with our robust double glazing offers lasting reassurance. All installations on all of our products carry a 10 year insurance backed guarantee.